Parts-People.com, Inc is the sole owner of the information collected on www.parts-people.com. We only have access to/collect information that you voluntarily give us via email, shopping checkout, or other direct contact from you. We will not sell, rent, or share this information to anyone. Parts-People.com will use your information to respond to you, regarding the reason you contacted us. We will not share your information with any third party outside of our organization, other than as necessary to fulfill your request, e.g. to ship an order. Parts-People.com does not store or save credit card information. Each time you place an order, you will be required to re-enter you credit card information. 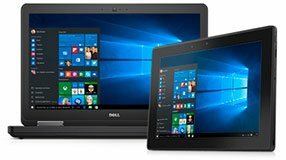 Parts-People.com will request Dell service tag information to help determine products compatible with your Dell PC. Parts-People.com will store this information in your website order to help Parts-People.com better offer support to you if needed in the future. We take precautions to protect your information. When you submit sensitive information via the website, your information is protected both online and offline using 256bit TLS1.2 encryption. Wherever we collect sensitive information (such as credit card data), that information is encrypted and transmitted to us in a secure way. You can verify this by looking for a closed lock icon at the bottom of your web browser, or looking for "https" at the beginning of the address of the web page. Credit Cards numbers entered on www.parts-people.com are not stored or saved.